The staff of the company «SOLNA» welcomes you with pleasure on our site. 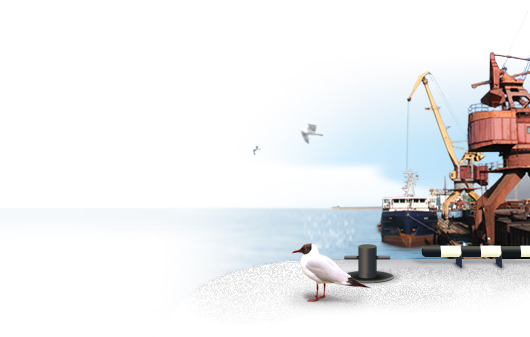 The company «SOLNA» has been created in 1999 by the group of followers — enthusiasts of the sea transportation and port services business. The first basic directions of the company’s activity were: chartering, forwarding, agency service, that justified expectations and proved this choice later on. During its existence the company has accumulated a considerable experience in this area which is shared today with her clients. We are always settled purposefully and positively and we aspire not to remain behind current requirements of the competitive market. — Agency service of vessels at port Yeisk and transit of the Kerch channel, i.e. complex service of your fleet at port and during channel’s passage. Besides that it is planed the more active development of following directions also considered as very important: commodity brokerage and ship management. Our work = to connect lands by means of the seas and we are grateful, that you have chosen us. We are sure, that you will be satisfied by results of our work as all preconditions are available for this. Let «SOLNA» always shine to you, seven foots under keel and the clear sky overhead.